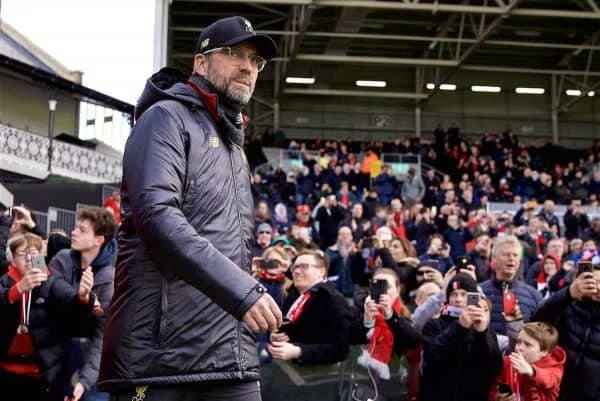 Liverpool showed true character to come back and win against Fulham in a game which Jurgen Klopp described as “nearly a different kind of sport” compared to their last two fixtures. It was attack against defence. Liverpool had 63 percent of the possession, 16 shots but just six of them on target. 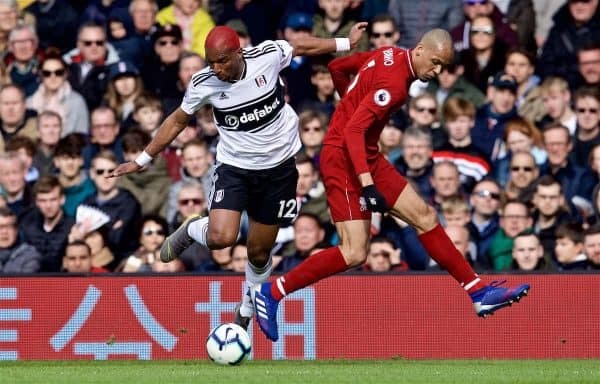 For a brief moment during the buildup to said attempt, which was finished reluctantly by Ryan Babel, it looked like a return to the Liverpool of old: gifting goals to their opponents, costing them valuable league points. 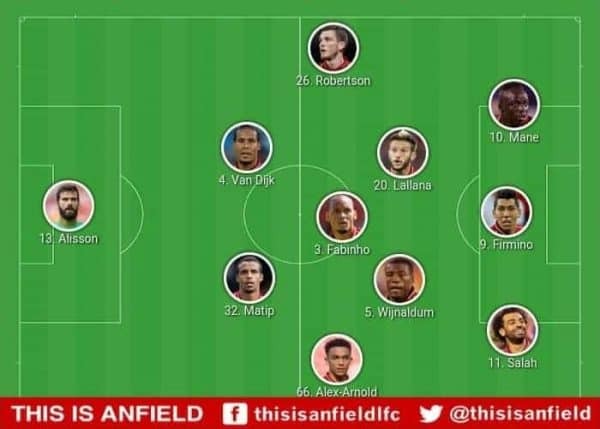 But this is a new, more resilient and ultimately higher-quality Liverpool side. Babel’s chance and goal, presented to him on a plate by a combination of James Milner, Virgil van Dijk, and Alisson, distorted Fulham’s xG massively. Officially, this goal went down as an error for both Van Dijk and Alisson, with Milner getting away scot-free. This shows the limitations of the ‘errors leading to a goal’ stat, and its ignorance of the bigger picture, but Klopp did point it out, lightheartedly, after the game, saying of his substitute: “That’s impact, eh? Without Milly it is probably 1-0!” also referring to the midfielder’s game-winning penalty. Without that Babel chance, Fulham’s xG (shown below via Infogol) would have been something around 0.27. 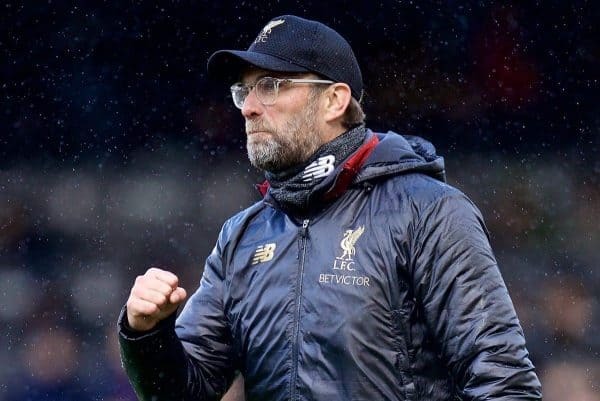 Klopp had plenty of praise for the opposition, respecting them as he always does, pointing out that they were a much different proposition than Burnley or Bayern, and commenting that they are a good footballing side apart from perhaps in the area it matters most: in front of goal. “We had to run a lot in a week where we played on Wednesday in Munich. “For us it would have been easier if we had more chances to win the ball. If you cannot win the ball they will play around, you have to close the gaps until they make a mistake or you win the ball one time. “It’s a strange one, they played so different to the two games we played. Burnley, Munich and now Fulham—three nearly different kind of sports. Liverpool generally defended well, as hinted at above by the xG, and they had to given the number of times they gave the ball away. Van Dijk was singled out after the game, as well as Alisson and Milner. Three of Liverpool’s steadiest players and two of their best, but now ranked as the worst players in the world for a week due to football’s short-termism and desperate search for an attention-seeking hot take. All of the best players in the world, especially those who play in defensive areas, make mistakes, but what makes them the best is how they and their team recover. 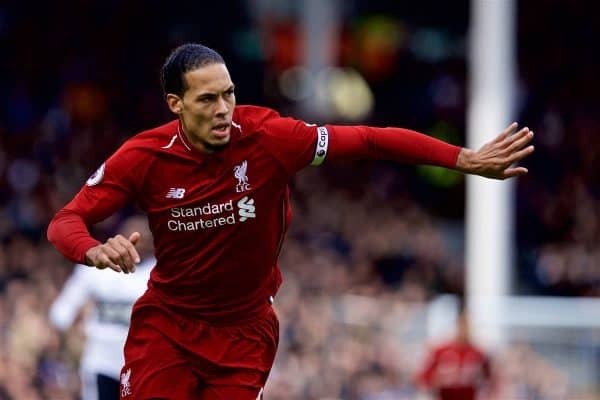 Van Dijk was still one of Liverpool’s better players, the mistake aside, contributing to the defensive cause with two tackles and three interceptions. He was also the team’s best passer, completing 91 percent of his 67 passes. This is easier when an opposition sets up as Fulham did, but Joel Matip only completed 78 percent of his, and Van Dijk also completed seven out of 10 attempted long passes. 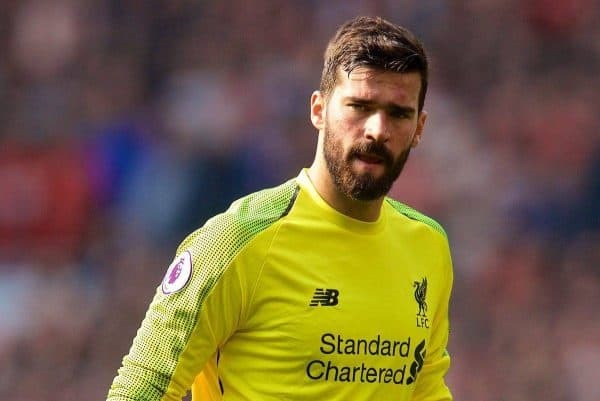 Alisson has money in the bank and can probably afford a few more mistakes before we start to worry, such has been his importance to the team in attack and defence. Milner made up for it with his penalty, as Klopp alluded to after the game. The importance of this spot-kick cannot be overstated at this stage in the season. Another aspect of recent Liverpool performances which should be shouted about are the performances of Sadio Mane. 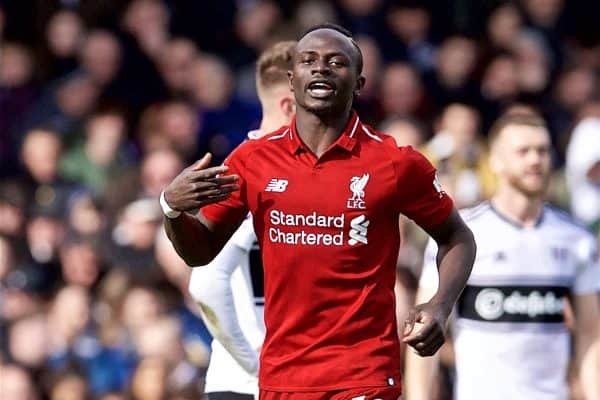 But Mane’s performances this season have been more striker-like than Salah’s. For a start he only has one assist and a total xA of 3.80 according to Understat. Salah has seven assists and an xA of 8.69. Can’t we just be happy to have both? This shows he is more regularly in the position to finish and less often, or less inclined, to create for others. 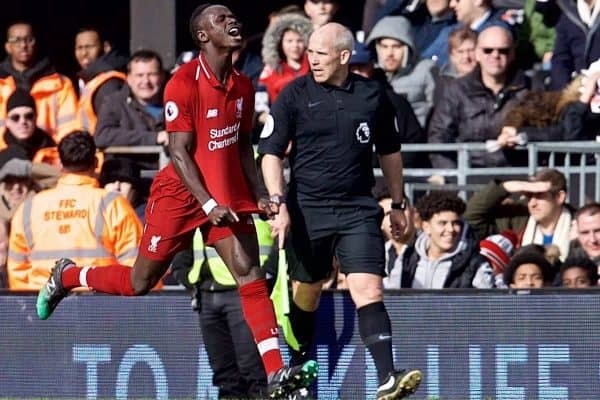 This isn’t a criticism of Mane, more a compliment, as without him this season opposition defences would be able to nullify Salah’s threat, and therefore nullify Liverpool’s threat. Opposition focus on Salah has helped Mane, but he’s still had to step up to the plate. His all-round attacking game means he has been the man chosen to lead the line on a couple of occasions, and his combination of pace, skill, technique, two-footedness and perhaps underrated aerial ability means he is the go-to guy in the striking department, just as Salah was last season. Even if they play this role from wide areas. Adam Lallana put in an encouraging performance against Burnley, but he struggled here, he was dispossessed four times, though he did lead the way for tackles with five. Trent Alexander-Arnold attempted 15 crosses, more than double Andy Robertson’s seven. 44 percent of Liverpool’s attacks went down the Robertson/Mane left side, with 32 percent down the right. 60 percent of Fulham’s attacks came down Liverpool’s right.